Definition at line 79 of file llcompass.h. Definition at line 96 of file llcompass.cpp. References LLControlGroup::getBOOL(), gSavedSettings, setTexture(), and LLView::setVisible(). Definition at line 89 of file llcompass.h. Definition at line 425 of file llglsandbox.cpp. References COMPASS_RANGE, f, F_PI, F_TWO_PI, gCamera, LLCoordFrame::getAtAxis(), LLRectBase< Type >::getHeight(), LLView::getVisible(), LLRectBase< Type >::getWidth(), gl_line_2d(), glBegin, glColor4f, glColor4fv, glEnd, height, left, llclamp(), mFocusColor, LLView::mRect, mTexture, LLColor4::mV, LLVector3::mV, right, S32, VX, VY, and width. 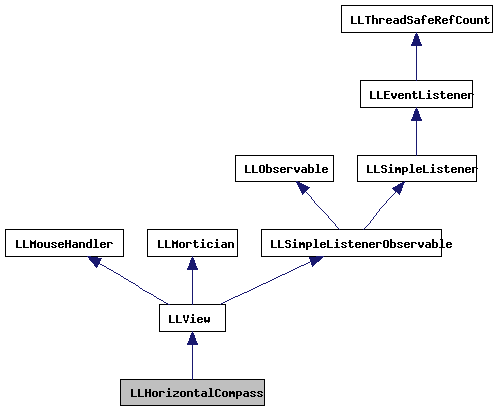 Definition at line 109 of file llcompass.cpp. References FALSE, LLViewerImageList::getImage(), gImageList, mTexture, and TRUE. Definition at line 82 of file llcompass.h. Definition at line 83 of file llcompass.h. Referenced by draw(), and setTexture().